Sunday, July 08, 2018 by Isabelle Z.
It’s a topic that many of us don’t give much thought: How exactly do bacteria and viruses make their way through groundwater? 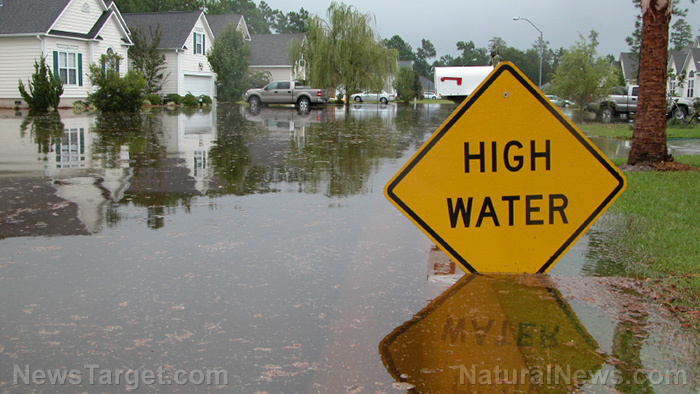 Countless people can be sickened when this happens after flooding or heavy rains, for example, but what occurs on the microscopic level when this happens is largely a mystery. William Johnson, a geoscientist from the University of Utah, recently analyzed the way in which contaminants move through groundwater, and he found an answer that may help water managers handle outbreaks spurred by floods and heavy rain in the future. One big factor influencing how quickly or far a particular contaminant will move is how well it sticks to grains of sediment along the way. Some contaminants are just small molecules comprised of a few atoms; this is the case with arsenic and nitrate, for example. However, colloids, or suspended particles, are as much as millions of times bigger than molecules; this is the case for protozoa, bacteria, and viruses. Because of this size difference, they respond differently to their surroundings. In fact, the forces that govern how contaminants and sediment surfaces interact is not unlike the electrostatic force you see at play when a balloon attracts hair to it or a Gecko attaches itself to a ceiling. Big colloids have a limited random motion, so their chances of hitting the surfaces of sediment grain in groundwater are predictable. If the colloid and sediment contain opposing electrical charges, the colloids will stick to the sediment when they hit its surface, and their groundwater concentrations will be predictable in the sense that they will drop exponentially according to their distance from the source of contamination. However, the conditions in the environment are generally not favorable to attachment. The surfaces of both the sediment grain and contaminant are typically negatively charged and therefore repel one another. So how do particles end up attaching? Sediment can serve as a filter, as evidenced by experiments in Ecuador wherein excavating channels near rivers affected by mining were found to encourage water to flow through gravel banks, which then removed as much as 95 percent of the mercury in them. One interesting aspect at play is what the scientists have termed the “decorative” theory. The areas of varying properties found on the surfaces can be thought of as being akin to the decorations on Easter eggs or different patches of color on impressionist paintings. Under this theory, colloids and surfaces interact in a limited interaction zone that gets bigger as the colloid size rise and expands as ionic strength goes down. The interaction net will therefore be attractive if attractive surface domains account for the majority of the interaction zone. Using this guiding principle, Johnson and his colleagues have explained how the colloid attachment occurs under different conditions in the environment according to colloid size, water velocity, and ionic strength. Their simulations also found other phenomena at play. For example, they discovered that some colloids will attach quickly and others will attach slowly while seeking appropriate spots on sediments to successfully attach. In addition, they found a range of durations that colloids will stick to a sediment service, which they say can be used to predict transport across larger distances. How does this tie back into what happens in groundwater disease outbreaks? Groundwater has a naturally higher ionic strength than fresh rain water because of the chemistry of underground water and rocks, but it can lose ionic strength during heavy rain. This causes the colloid-surface interaction zone to get larger, changing the overall interaction from being an attractive one to a repulsive one. These findings have helped the researchers create predictive tools for enhancing contamination cleanup that could spare countless people from illness during outbreaks. Their research was published in the journal Environmental Science & Technology.